Courtney was born in Valdosta and raised in Thomasville, Georgia. She attended Georgia Tech, graduating in 2008 with a Bachelor's Degree in Management and Certificate in Marketing. Prior to joining the Bush Wealth team, Courtney worked in the financial services industry at a local credit union where she was quickly promoted to the role of Assistant Vice President of Marketing. 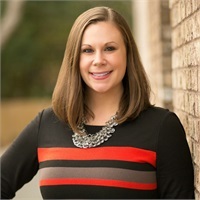 Courtney is actively involved in the Valdosta community, holding leadership positions in the Valdosta North Rotary Club and as a Leadership Lowndes Board Trustee (Class of 2017). She served on the LAMP Board of Directors from 2013 to 2017, including a term as Board President in 2017. In 2016, Courtney received the Valdosta-Lowndes County Chamber of Commerce's Young Professional of the Year Award. Courtney and her husband, Thompson, reside in the city of Valdosta with their son Monroe. Their family attends First United Methodist Church of Valdosta. In her spare time, Courtney enjoys spending time with family and friends, visiting Atlanta for Georgia Tech football games, and traveling abroad. Courtney currently holds a Series 7 and Series 66 license through LPL Financial.